Every Wednesday, our keynote speaker and creativity enthusiast, Scott Shellstrom shares a “What is it Wednesday” post on his Facebook page. 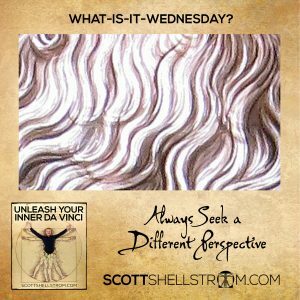 Like Scott’s keynote program, Unleash Your Inner Da Vinci, his Wednesday posts encourage followers to look at things differently, think more creatively, and always look for new possibilities. Creativity is the most important commodity for the success in business today, and a unique solution to problem solving. 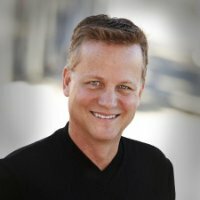 Scott combines his experiences, stories, improv comedy techniques, and art to motivate audiences to uncover their hidden problem-solving abilities and rediscover their own ability for creativity and innovation. Scott’s presentations will unite and excite your team as they collaborate and support one another using proven techniques of improvisational theater. He ignites productivity and inspires unique solutions to everyday challenges. We are bringing one of Scott’s images to you this week as part of our Friday Featured Speaker. Comment below with your best guess on what this image might be, and we’ll announce the answer [and winner] on the Michelle Joyce Facebook page on Monday, March 19th. Scott’s content and delivery are different than any other presentation you’ve attended. Bring his refreshing and inspiring approach to your next meeting our event by contacting Michelle Joyce today.